Varian Arabians - The Varian Arabians Blog - It's All Good. I decided that the only thing to do was to open the window and fling my ego right out there into the breeze. My perfect young Arizona Mac V had begun to go from that contented agreeable little soul to more of a schoolyard bully. He was biting at Roy, he kicked another horse, he was pushing through the bit and was being unresponsive to me. I remember Sheila saying that if things weren't working, she'd just get off, sit on the ground and think it over, and figure out what to do. So that's what I did. We all know that doing the same thing and expecting different results is silly, so I had to do something different…. But what? With my ego out there on the breeze somewhere, I confessed Arizona's sins to a few knowledgeable people I know. After some very reasonable opinions from my savvy friends, and after pondering it over, I finally figured his behavior stemmed from these reasons. 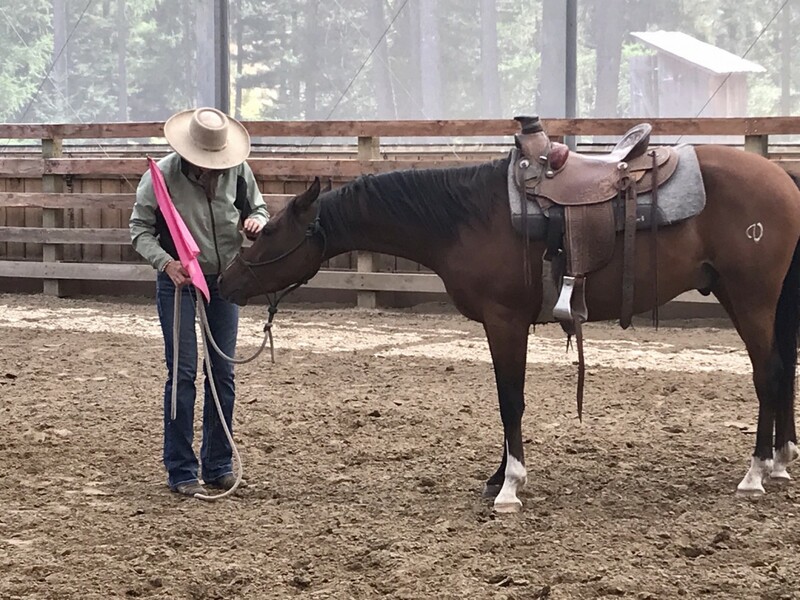 * My theory for getting the horse to be confident out on the trail, is for me to help him discover that he is capable of doing things that he doesn't think he can do. Instead of fighting with him to find out that he can, or trying to force him, I enlist Roy to help me. With a lot of help from Roy and a little signal with my legs or hands, Arizona made up his own mind these last few months, to cross that creek, to step over that big log, to cross that bridge. I just did my best to not over manage him and to stay in the middle. It works very well, BUT, at the same time, I was letting him make the big decisions. Hmm. There was something to think about. * He was still only three. Now that he'd gained some confidence, he figured it was a good time to test his boundaries. * I'd been giving him a nice big scoop of grain every day, trying to keep his weight up. Away went the grain. I made a date with Robert and Janet Phinney, my new friends you might recall from an earlier post. http://www.thehorsefellowship.com/ . These two are so knowledgeable, and helpful, and soft. We agreed that what Arizona was looking for was more direction. 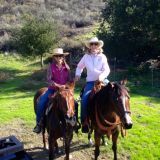 I spent one morning up in their beautiful covered arena working on the ground with Janet. She pointed out to me about the goal of the horse finding his "happy place," which, as it should work out, happened to be right where I was asking him to be. I continued at home in the round pen, quiet, with no distractions. We practiced the things Janet and I worked on, controlling his direction, pace, hip, shoulder, backing up. A week later I worked with Robert. I can't tell you how fun these two are to work with. I miss being able to just call Sheila and chatter away about horse behavior, I'm so lucky that these two are practically in my backyard. Robert firmed up what I'd learned with Janet, and added to it, more precision, more subtlety, and keeping Arizona's focus on me and only me. Arizona seemed as happy about all this new knowledge and interaction as I was. This is what I love the most about a horse. Every day with them is a new lesson. I never expect to make it to the day where I say to myself "WELL, I guess I have that all figured out!" Each new lesson is rewarding, for me and for him. It's all good.